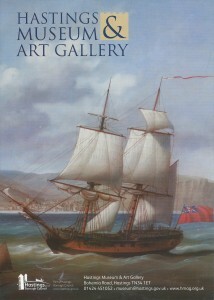 An exhibit of marine artist Lou Dodd is at the Hastings Museum and Art Gallery in England from March 7-June 7th. 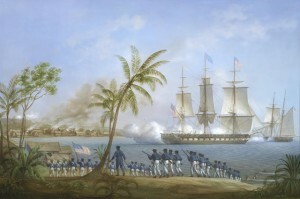 One of Lou Dodd’s painting, “The American frigate Potomac attacking Malay pirates at the settlement on Kuala Batu, Sumatra, 1832,” will be highlighted in my book Embassy to the Eastern Courts, which will be in bookstores this November. 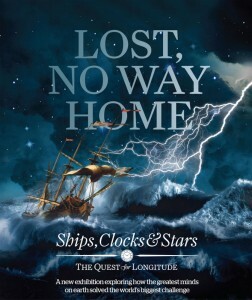 An excellent, free exhibition of artifacts from the National Maritime Museum, Greenwich, England that includes watchmaker John Harrison’s superb “H-4,” which in the 1760s made possible accurate time at sea and the (relatively) easy calculation of longitude.